Fall is here and hopefully you are enjoying some of the beautiful fall days on your kayak. 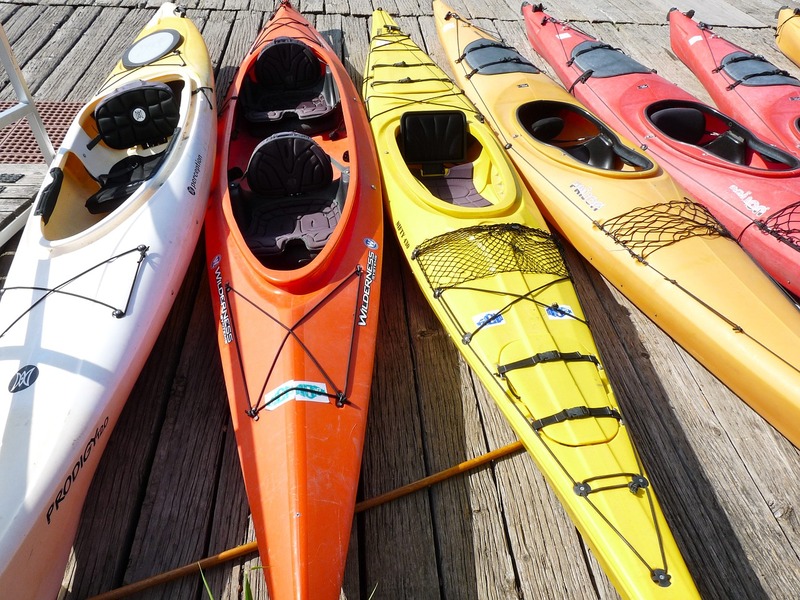 For those of us in colder climates, now is the time to start thinking about kayak storage. Before storing your kayak for the winter, it’s important to thoroughly clean it to remove any residue from use over time including sand, dirt, and salt. Simply using water and a mild soap will work to get your kayak clean. You can also use a protectant for your kayak that will help to shield UV rays. Be sure your kayak is completely dry before storing it away for the winter. One of the most important storage recommendations for keeping your kayak like new is to hang it on a storage rack and not on the ground during the winter months. Ideally your kayak should be stored inside in a garage, shed, basement, or other storage area. It’s not necessary for the storage location to be warm, just so that the kayak is protected from the outside elements. When storing your kayak on a rack, be sure to evenly distribute the weight on the rack so as not to damage the hull. If you don’t have a rack, avoid having the kayak sit on the floor as this can deform its shape. It’s best to lay it on its side or vertically on a wall. If you do have to store your kayak outside, it’s best to keep it in a shaded area and where it will not get wet. You can protect your kayak outside by creating a covering for it, but don’t wrap the kayak in the cover too tight. Make sure there is room for air flow as moisture next to the kayak can cause mold. Be sure the cover is waterproof and UV resistant. Storing your kayak this way while outside will preserve it from the elements including moisture, sunlight and extreme heat and cold which can cause damage. Whether storing your kayak inside or out, a cockpit cover is helpful to avoid having mice or other animals make a home out of it. You can even make your own cover using a garbage bag and tying it around to cover the cockpit. It’s also helpful to check on your kayak occasionally during the winter to make sure animals or insects have not gotten in. We recommend removing the Docksider kayak storage lift and rack from your dock before winter. Though the Docksider is made from architectural or aircraft grade aluminum, the cold and ice during the winter months can cause damage. The lift and rack can be easily detached from your dock by removing the bolt on or clamp on mount. The Docksider can also be used as a wall mount rack to store your kayak. We offer a wall mount conversion kit so that you can store your Dockside Kayak Lift & Rack and your kayak in your garage, shed or other storage area. Using the Docksider to store your boat indoors will allow you to very easily lift the kayak up into storage position just as you do on the dock.